I know American junkyards are full of Neons so I shouldn't be surprised it's a worldwide phenomena. 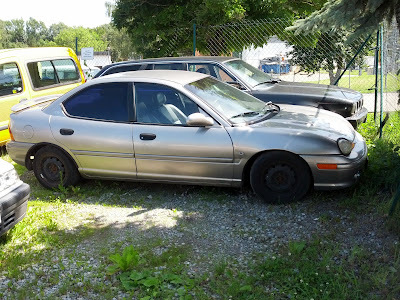 My 1998 ACR coupe was the same color and this car and has the same DOHC engine and manual transmission. Beyond that, this Neon has a black interior with leather seats that I've never seen stateside. At some point the windows were tinted and it traded alloy wheels for steelies. Otherwise its a complete car that's relatively clean. 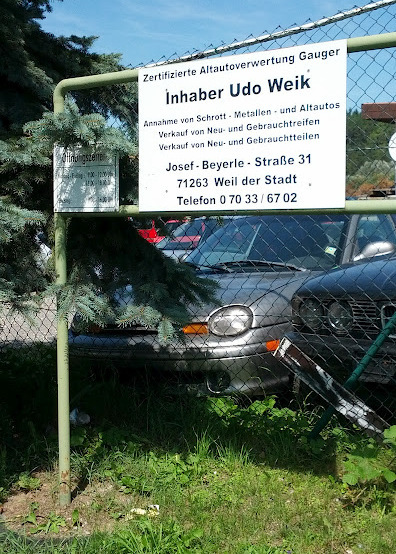 This example ended up at a small wrecking yard in Weil der Stadt, Germany where my brother-in-laws lives with his family. To learn more about the car, I attempted communication in my limited German. 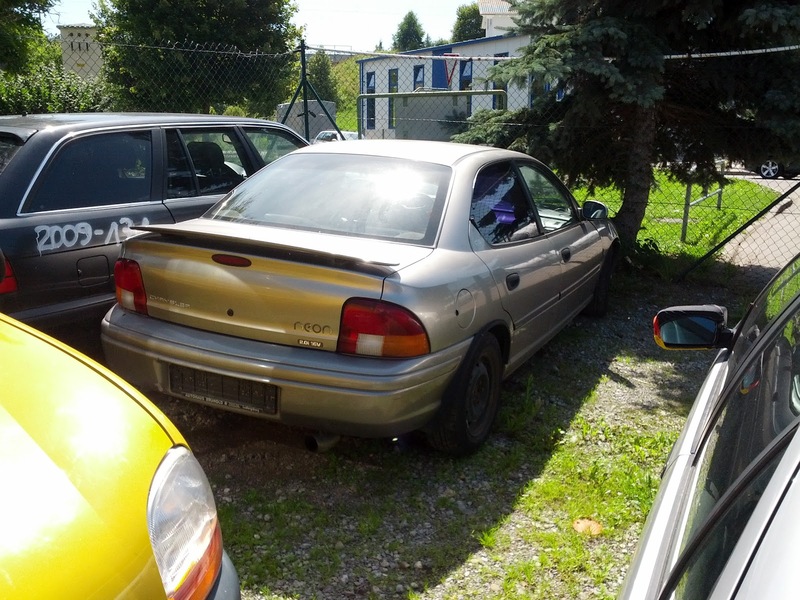 The owner isn't willing to part it out and he started negotiations at 300 euros. I guess stuff is more expensive in Europe. He provided some explanation for its mechanical difficulties but it was far beyond my vocabulary. the rear bumper cover with the Euro-sized license plate recess is baller!